According to broadcaster and radio presenter, Jez Nelson (BBC Radio Jazz on Three) our hard working artistic director is “of one of the most important men in UK Jazz”. 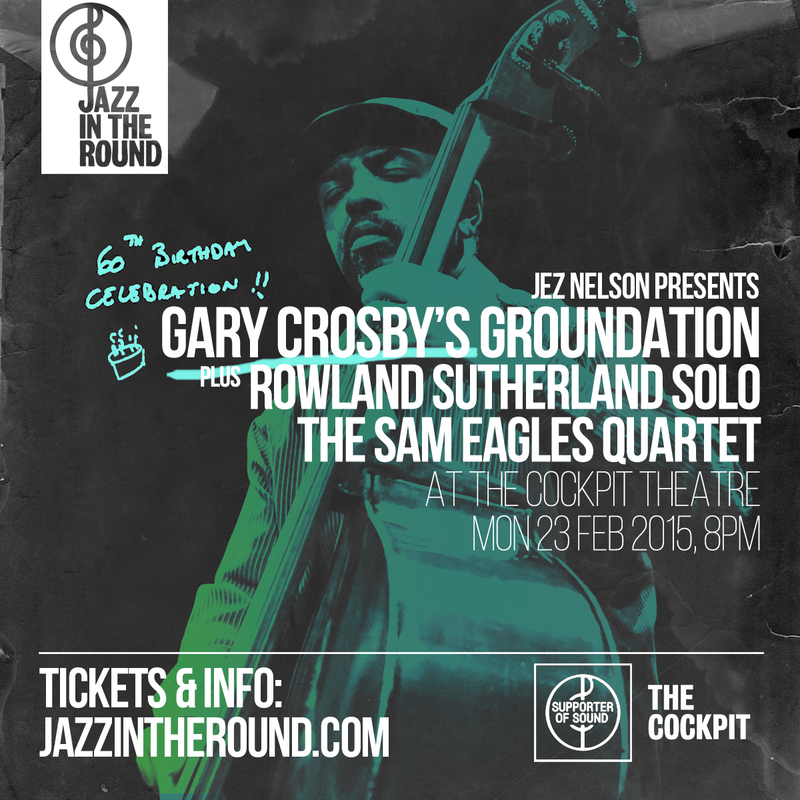 Never missing a good opportunity to give his fresh band an outing to enthusiastic crowds, our ever-youthful Gary Crosby OBE and his band Groundation have been invited to headline a strong lineup at Jazz In The Round at the Cockpit Theatre on Monday 23 February. As someone told us …Gary’s having more birthday celebrations than HM, and why not? Gary has achieved so much in the past 24 years in building up several stables of new award-winning jazz talent, that a celebratory gig or few really does fit the bill. So, if you missed last week’s Tomorrow’s Warriors Extraordinary Showcase in the Front Room at Queen Elizabeth Hall, when several crazily talented young musicians – let’s call them jazz jewels in the making – from our Young Artist Development Programme, were sparkling and igniting audiences, then come on by to sing ‘happy birthday’ to the great man of UK jazz and keep the celebrations going. Tickets are just £12 or if you can’t make it, consider supporting his work with young musicians.